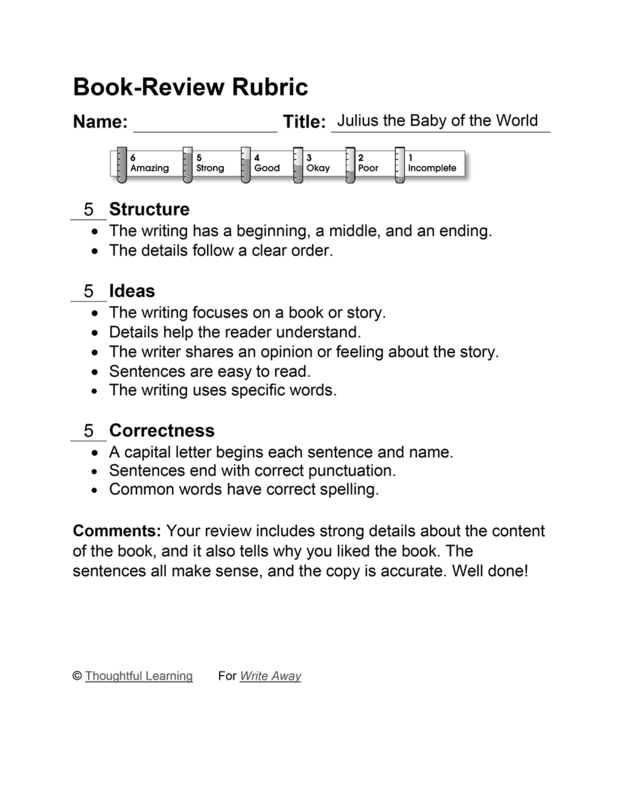 In this book review, a second grader examines Julius the Baby of the World. Julius the Baby of the World is a book by Kevin Henkes. This book tells the story of Lily. She is mad at her brother Julius because everybody thinks he is so great. In the end, Lily changes her feelings about him. I think this book is very funny. I laughed at Lily a lot. And I know how she feels. Sometimes I get mad at my baby brother. Julius the Baby of the World by Thoughtful Learning is licensed under a Creative Commons Attribution-NonCommercial-ShareAlike 4.0 International License. Based on a work at k12.thoughtfullearning.com/assessmentmodels/julius-baby-world.